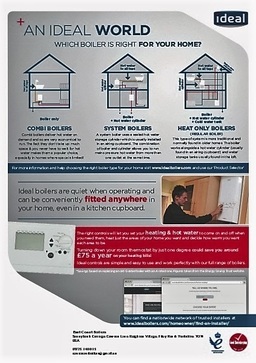 East Coast Boilers Plumbing and Boiler Installation. 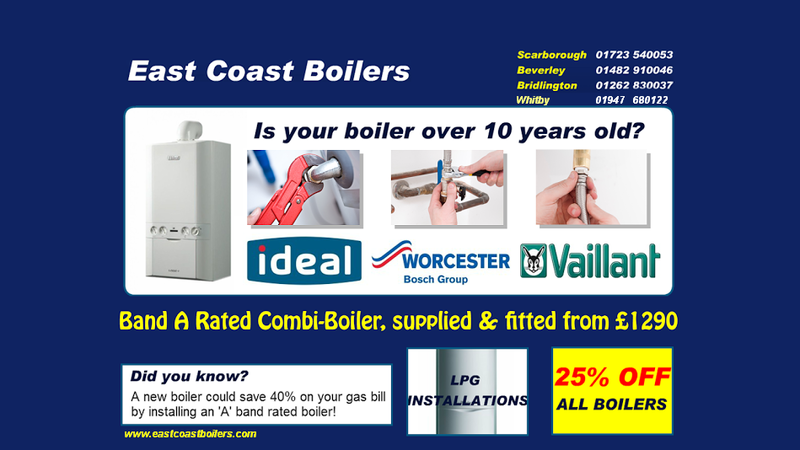 For the best boiler services in Scarborough, Filey, Bridlington, Beverley and Whitby choose East Coast Boilers. 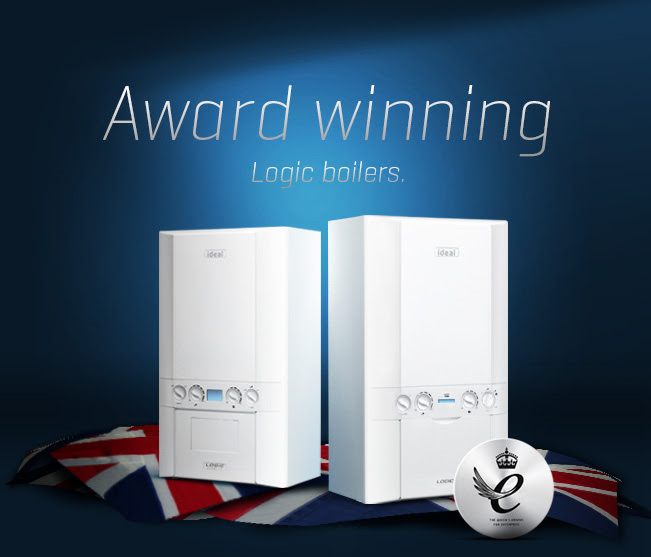 We provide an outstanding service, great prices and a reliable and friendly team for all of our boiler needs on the east coast. Our established and quality business is delighted to be serving the people of Bridlington, Scarborough and the surrounding area, because we are passionate about what we do, and we're determined to deliver quality at every turn. All of our engineers are Gas Safe registered and keep on top of all the latest techniques and methods in order to provide a second to none service. This includes boiler repairs and diagnosis, faulty radiator repairs, central heating system repairs and, of course, boiler fitting. 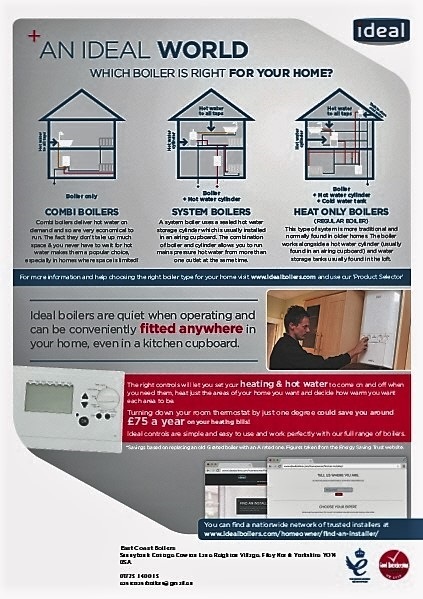 Our experts specialise in fitting the new grade A systems, which create up to 40% savings for customers on their heating bills. We work with leading manufacturers such as Worcester Bosch, Vaillant and Ideal and all the latest models come with a five year warranty. We always provide the ultimate competitive prices and ask for no deposit. We are fully insured and also offer free quotes.